A committee of wildlife experts warned Monday that Canada’s largest land predator, the polar bear, was at risk of disappearing from its vast Arctic landscape as melting Arctic sea ice makes hunting prey a challenge. He explained that the bears use sea ice and the “same sit-and-wait techniques familiar to ice fishers” to hunt seals for food. 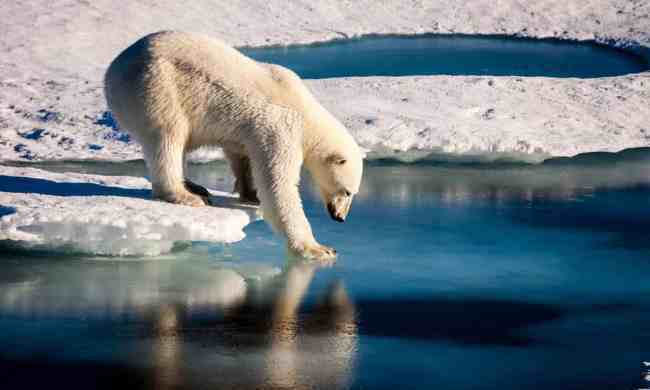 Predictions of longer ice-free Arctic summers will make hunting “much more difficult” for polar bears, he said. Canada is home to two-thirds of the world’s polar bear population.